Nullifire was engaged to execute a complete repair and refurbishment project for an apartment tower located in Sydney's beachside suburb, Manly. Exposure to the salty sea air had caused the windows and steel lintels in the apartments to corrode. Additionally, the existing waterproof membrane located on the flat roof of the building also needed to be replaced as its integrity was beginning to fail. The Owners Corporation sought to carry out structural repair work, specifically, replacing the windows and the lintels of the building. 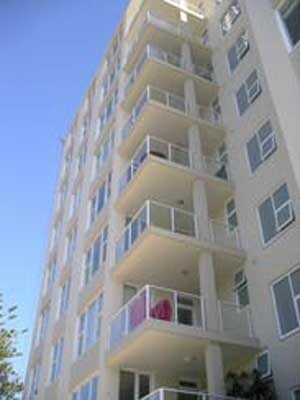 They also wanted to refurbish the apartments and give the tower a completely new look. Nullifire worked closely with the consulting engineers over a period of a year to completely address all structural issues, replacing everything from flashings and windows to lintels. The job scope also included installing new balcony doors and completely rendering the building. Nullifire was able to achieve the desired outcomes for the apartment tower, restoring its structural integrity completely while providing a fresh aesthetic appearance.